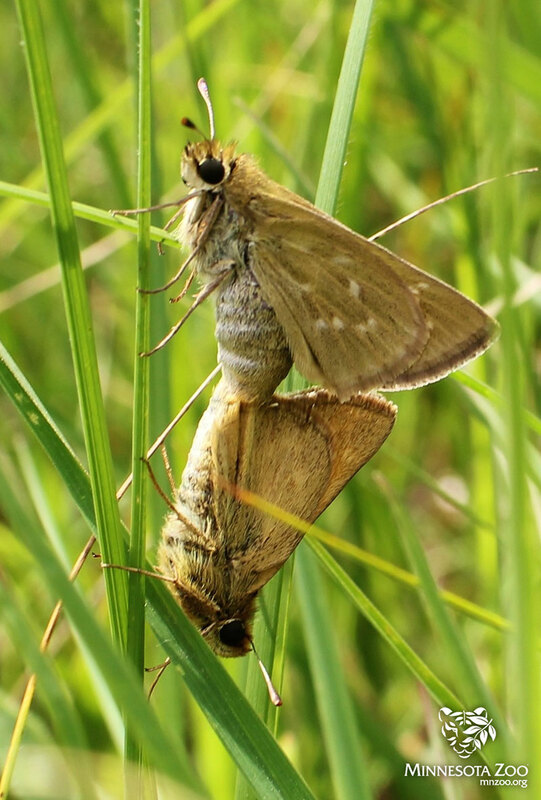 Poweshiek skipperling (top) and Dakota skipper(bottom) caterpillars. 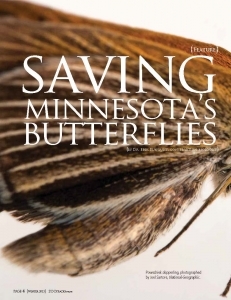 Butterflies are loved, but many are also in trouble. 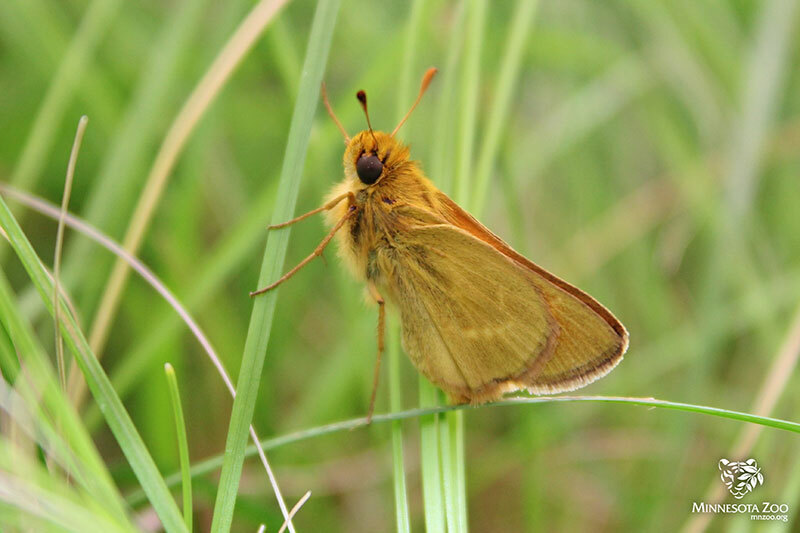 Did you know that the orange and brown Poweshiek skipperling, formerly one of Minnesota’s most common prairie butterflies, is now nearly extinct? 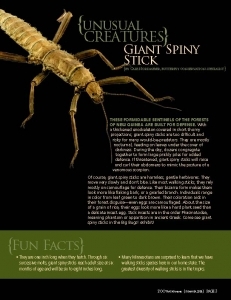 Fewer than 500 may remain in the world! 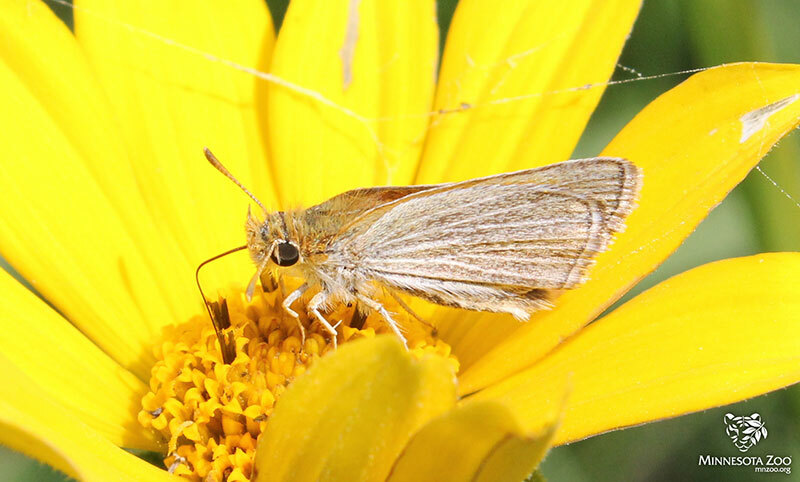 Another butterfly, the Dakota skipper, has also dropped to very low numbers and is gone from most sites. Both are now listed under the U.S. 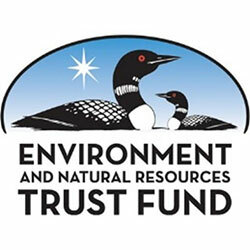 Endangered Species Act, and are among 15 butterflies that are “Endangered”, “Threatened”, or of “Special Concern” by Minnesota. Ten of them depend on native prairie. 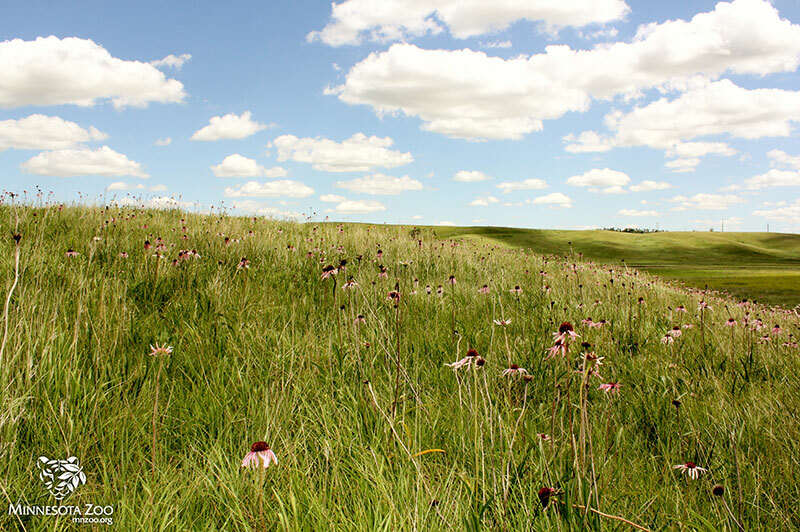 Prairie once covered about 33% of Minnesota and it shaped our history. Only 1% of that original prairie remains though. 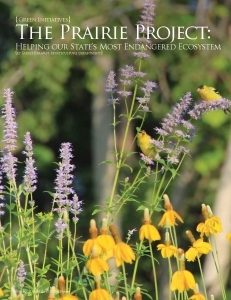 Many animals and plants that need prairie have declined or vanished. Habitat loss is the major cause, but some have declined rapidly for other poorly understood reasons in recent years. 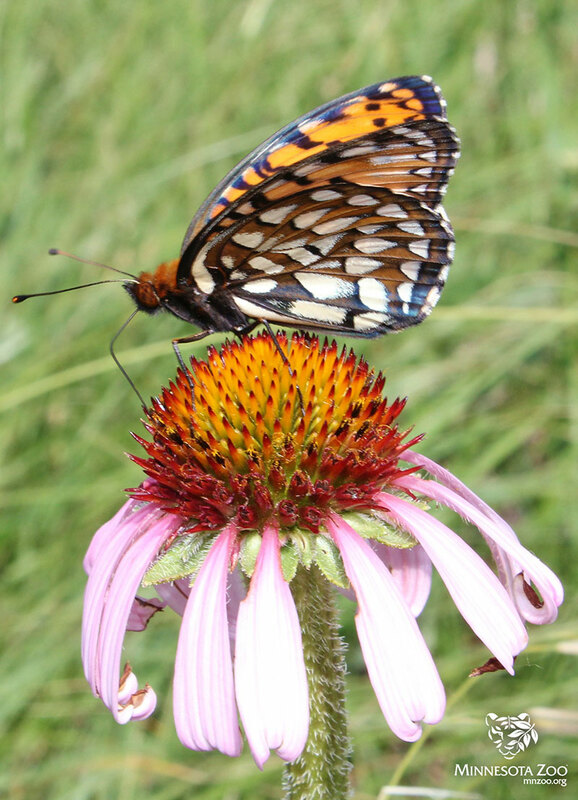 Butterflies are “canary in the coalmine” indicators of prairie health because of their sensitivity to changes in their habitats. 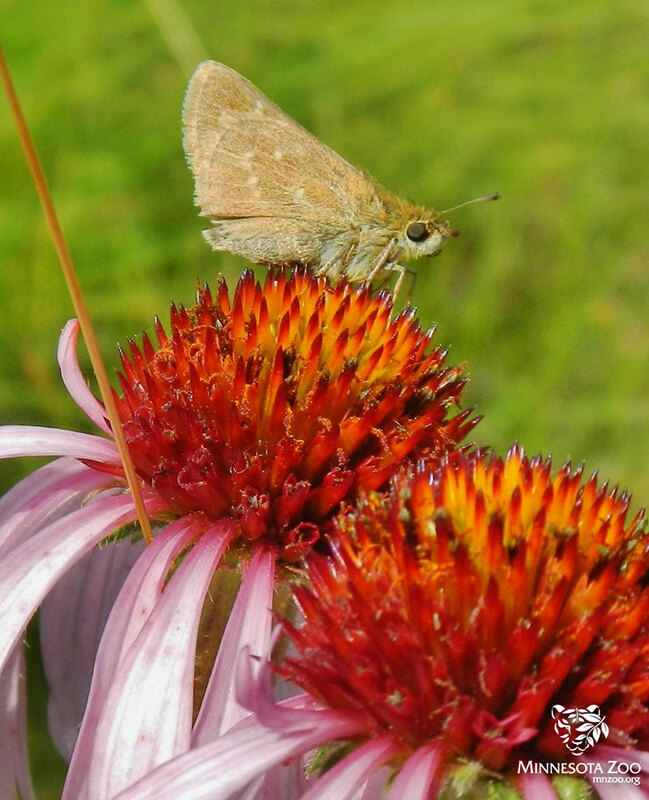 The Minnesota Zoo’s Prairie Butterfly Conservation Program works with many agencies and groups to save endangered butterflies like the Poweshiek skipperling and Dakota skipper. The Zoo is creating the world’s first and only rearing and breeding programs for these butterflies to help save them from extinction. 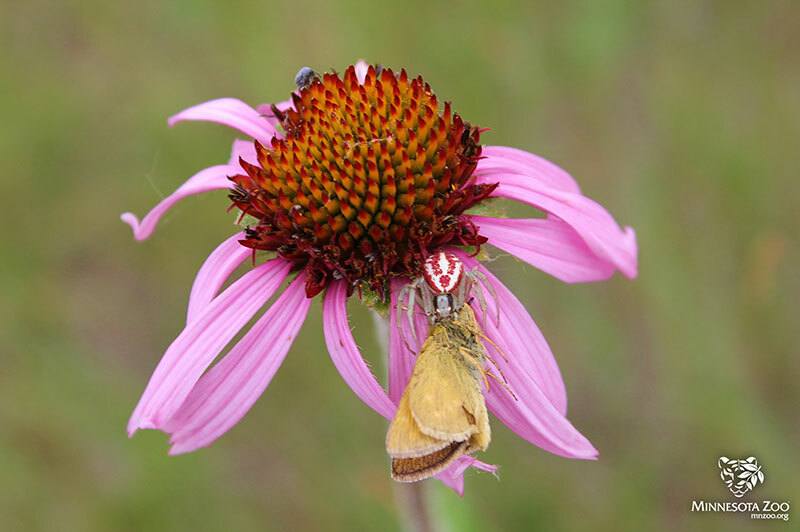 Zoo biologists study wild populations of prairie butterflies to assess their status and the threats they face. 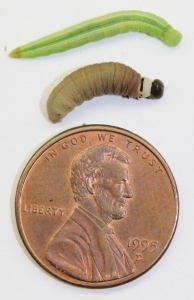 They also study their genetics to aid breeding efforts. 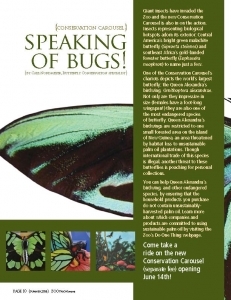 The decline of these butterflies and other pollinating insects is serious, but everyone can help! 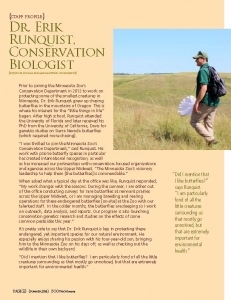 The Minnesota Zoo is committed to helping these fascinating animals and their rich habitats. Prairie butterflies and other pollinators are struggling. 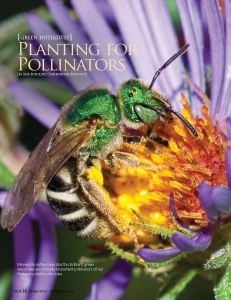 Check our our Plant for Pollinators page for more information, including a large web-based and downloadable guide to dozens of great native wildflowers. 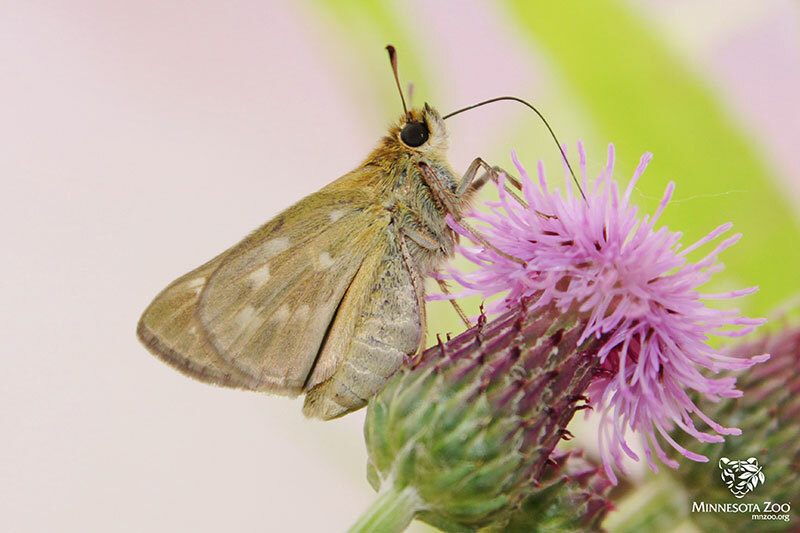 Also “Get to Know Your Butterfly Neighbors” with this downloadable guide (en Español Conozca a sus Mariposas Vecinas). 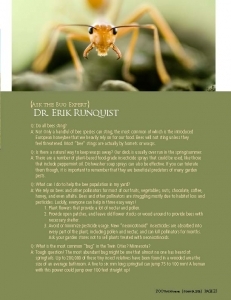 Free printed versions of this pamphlet are available at the Minnesota Zoo! 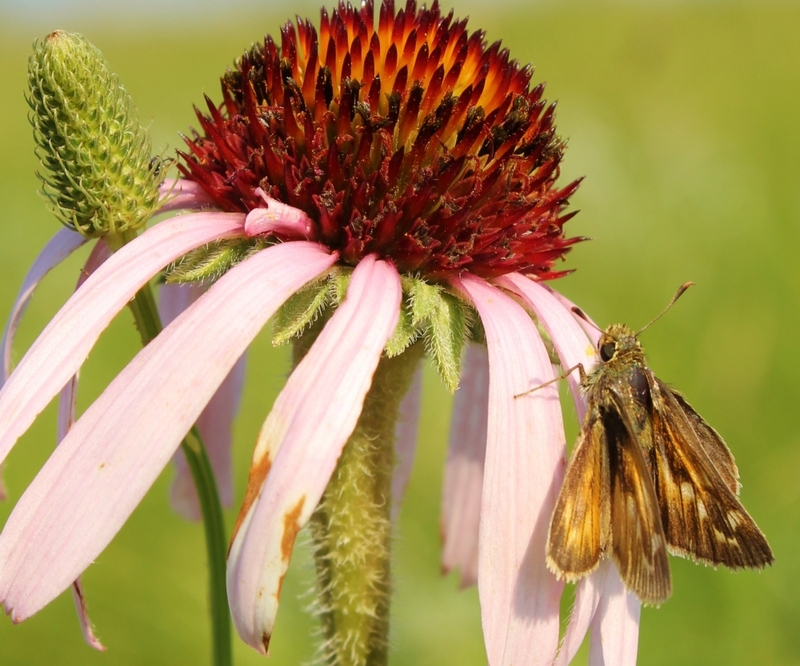 Click here for a great video of our prairie butterfly conservation in action thanks to our partner, Morrie’s Automotive Group. And a huge thanks to generous Zoo guests like you who donated to the program during the summer of 2014! 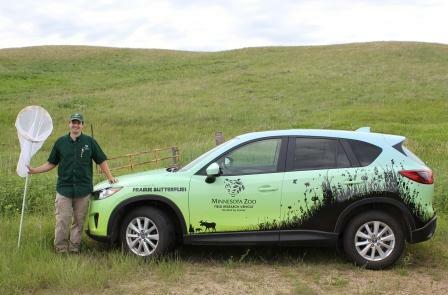 We thank Morrie’s Mazda for their generous donation of our field vehicle.